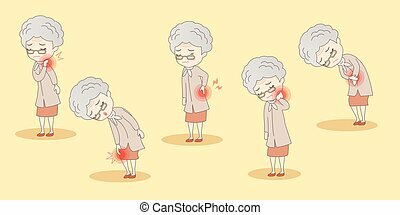 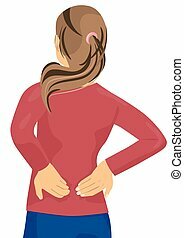 Female having backache. 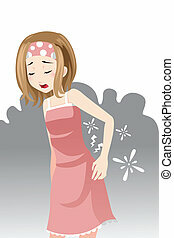 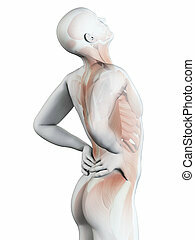 Medical 3d illustration - female having backache. 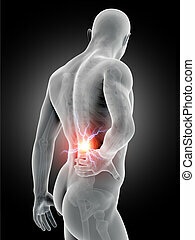 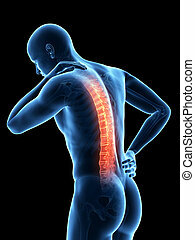 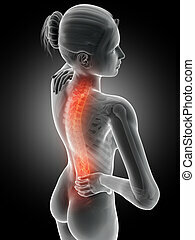 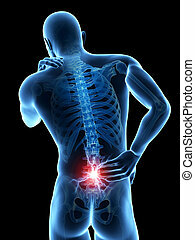 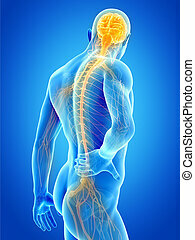 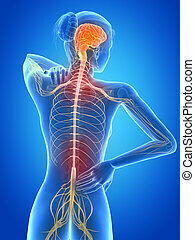 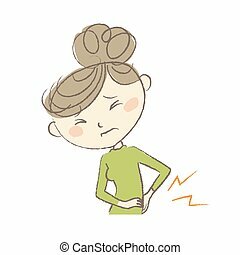 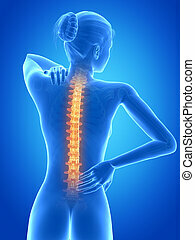 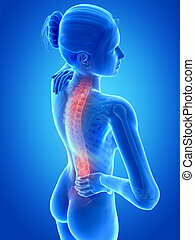 Female athlete lower back painful injury. 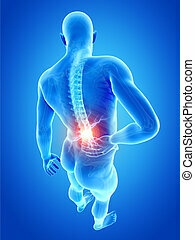 Caucasian fitness girl gripping her lowerback because sport injury after exercising and running. 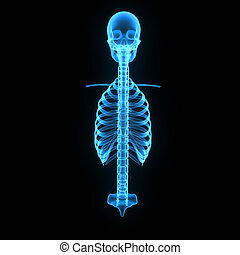 The human skeleton is the internal framework of the body. 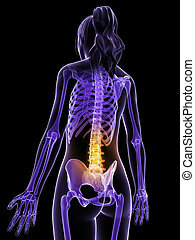 It is composed of 270 bones at birth %u2013 this total decreases to 206 bones by adulthood after some bones have fused together. 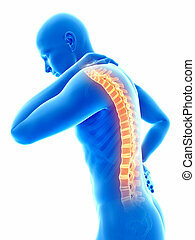 The bone mass in the skeleton reaches maximum density around age 30. 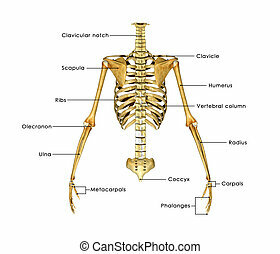 The human skeleton can be divided into the axial skeleton and the appendicular skeleton.